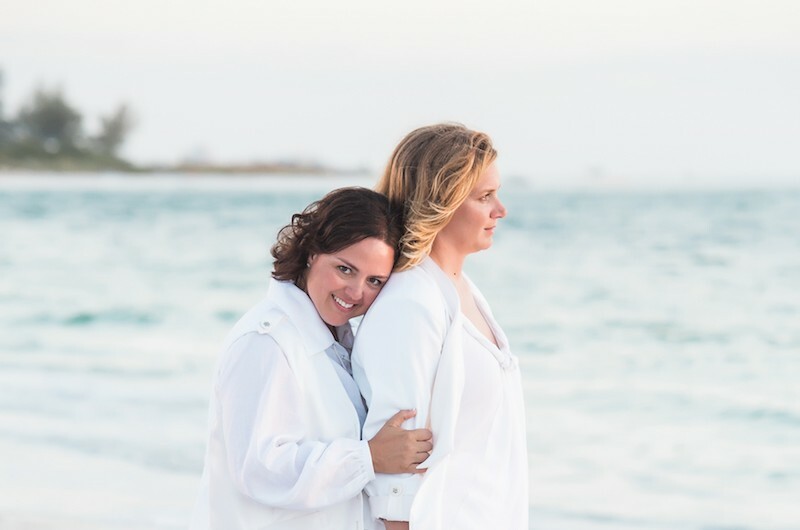 For two brides who love the beach, they took it one step further by incorporating a nautical theme with beautiful shades of blue into every last detail in their special day. 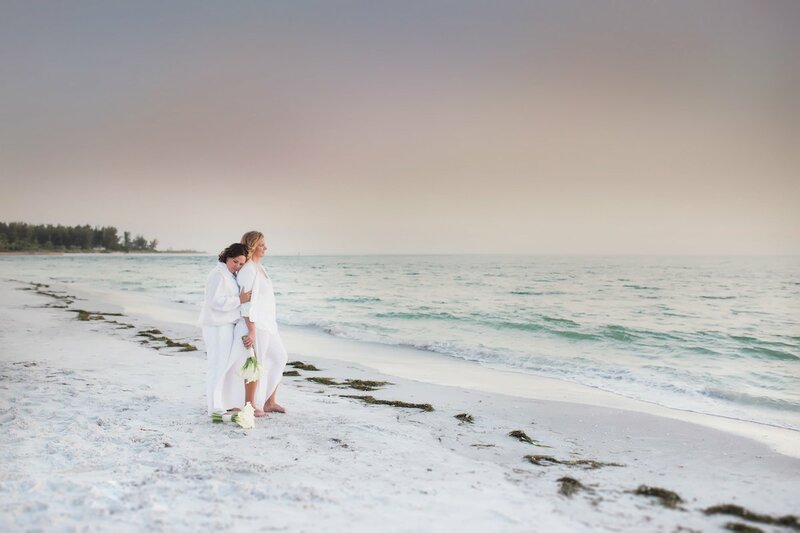 NK Productions helped them bring their vision to life, creating a beach-worthy backdrop and absolutely gorgeous tented celebration right on the sand. Lauren even handmade some of the decorations, including painted wooden buoy table numbers and sand dollar placement cards that beautifully garnished the cream-colored table tops. Tara Tomlinson took pictures while Current Films documented on film, as Laura and Lauren walked down the aisle together, shared their first walk along the beach as newlyweds and then celebrated with a delicious meal and lots of dancing with their closest friends and family. Along the bright green grass of a soccer field, a painted white line separated the best team in the league from the second best, and coincidentally, Laura from Lauren. At the time they first met, Laura and Lauren were each other’s competition on the field. But when Lauren was asked to join Laura’s team for a tournament, a spark between them had them dating in no time at all. Custom designed by Marisu Moda, each bride wore a white, flowy outfit with pieces of material made from sailboat sails to fit their nautical theme along with matching white flip flops. They walked down the aisle together, clasping a crisp white bouquet of calla lilies — their favorite flowers. And during the ceremony, Lauren’s aunt read Robert Frost’s “The Road Not Taken” in honor of her grandmother who lived just down the beach from where they were standing. To close out the ceremony, Bob Marley’s “Could You Be Loved” played as the newlyweds walked hand-in-hand back down the aisle with smiles stretching from ear to ear.